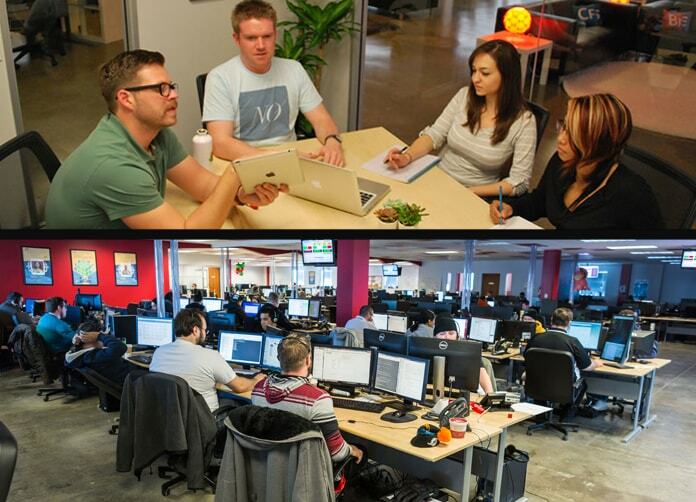 TL; DR: The InMotion Hosting team anticipates customer needs and leverages their vast knowledge base to create the most performant technologies, backed by the most proficient support. It’s not often that you hear a startup story that’s bootstrapped, and this one’s spearheaded by founders that were and are heavily involved in every element of the business. A VPS pioneer and an allstar in the customer service arena, InMotion Hosting has developed a reputation for cutting-edge hosting, and they hold a strong resolve to remain at the forefront of users’ technological needs. In our world, when you think of power, performance, and a premium customer experience in hosting, you think of InMotion Hosting. They’ve been in the hosting game a long time and they play it well, but who were the original gamemakers of InMotion? Co-Founder Sunil Saxena told us the story of InMotion — featuring their pledge to enhancing the user experience. We got a chance to pick the brain of InMotion Co-Founder Sunil Saxena to hear the company backstory, his insights into the hosting world at the time of launch, and how InMotion has grown to be famous for delivering on (and exceeding) customer expectations again and again. In the early 2000s, web companies weren’t particularly known for providing a quality user experience. “It was all about selling someone something online and the relationship ended there,” Sunil said. So InMotion was born with a plan to do things differently. “To this day I still say, first and foremost, we are a customer service provider,” he added. InMotion was founded with two focuses: customer support and stability, and their technical team hits both out of the park. Along with stellar customer service, the InMotion forefathers’ mission was to ensure a highly stable platform to support the customers that entrusted their websites to them. 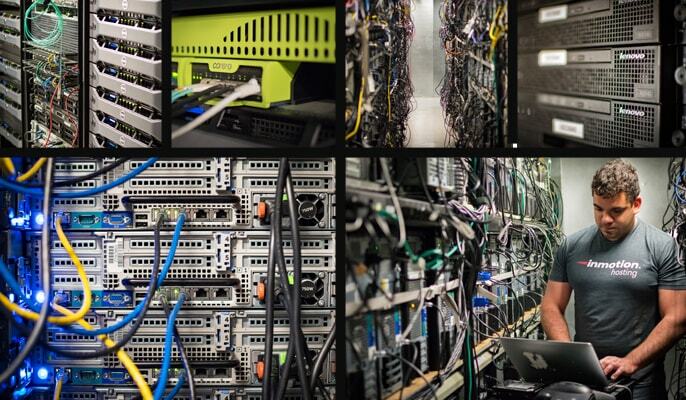 “We bought Dell servers, we bought Cisco routers, and we actually over-provisioned in that sort of way so that we could make sure we could be more robust and more stable when it came to servicing our customers’ websites and trying to get the most possible uptime,” Sunil said. One Decision to Spearhead the VPS Niche: Scalability! Sunil explained that as one of the first providers to offer VPS hosting, they had seen a need for scalability in the market. 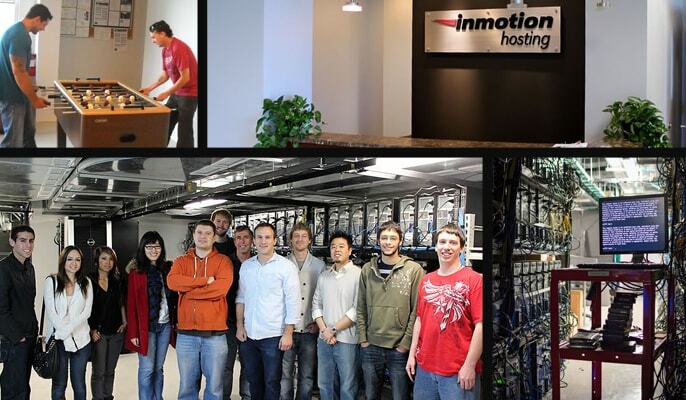 “Before InMotion Hosting, it was shared and only shared,” he said, “and the jump from shared to dedicated was too great for a lot of our customers, as a lot of our customers were business owners and they couldn’t afford it.” By taking the reliability of the dedicated server and partitioning it among a lot of customers, InMotion would offer users more resources at a more affordable cost. By taking advantage of this niche for VPS, InMotion was offering a stable platform that encompassed both user needs: scalability and affordability. Today, they have Tier II System Administrators watching websites all day, every day, and should customers start outgrowing their shared environment, the InMotion team will be there to introduce them to the idea of VPS. Sunil used the analogy of a married man upgrading to a house. “Once you have a family, you can’t stay in a 1-bedroom,” he chuckled. “It’s cool when you’re a bachelor but doesn’t work with a wife and kids.” The InMotion team is committed to helping customers scale their way up from “1-bedroom” servers to “mansions” and anywhere in between. While InMotion does just about everything really well — “VPS was really important to us right out of the gate,” Sunil said. “What’s differentiated us since then is making sure we’ve kept up with the technological changes.” Whether it’s adding SSDs to all hosting plans, or dedicating a staff of experts to maintaining proper documentation for the latest tech and writing how-to guides for emergent software, InMotion’s self-proclaimed “geeky” staff is leading by example. 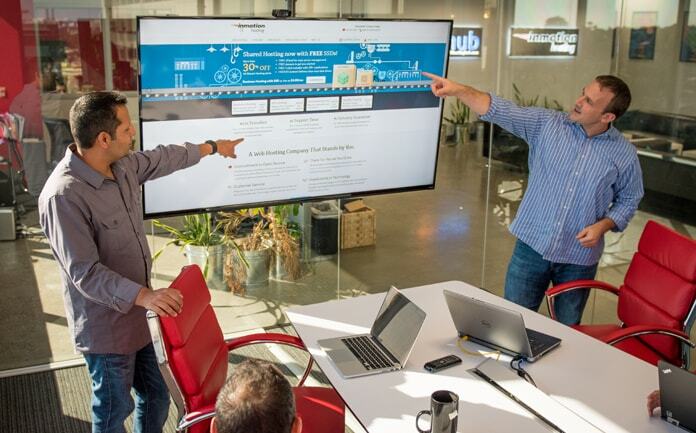 InMotion is a “geeky” culture that knows how to anticipate customer needs, execute the technical stuff, and have fun, too. Sunil emphasized that they want to be proactive about meeting customers’ hosting needs. “Part of that is not being stagnant in offering the same products that were maybe popular four or five years ago and understanding that people’s needs change over time,” he said. InMotion has a team of web aficionados exclusively dedicated to keeping up with the latest technologies and ensuring that they’re providing InMotion users with the best documentation of how to implement the best technologies on the InMotion platform. One-to-Many Support: One single article services many people. Fantastic Branding: Users ask Google questions and InMotion surfaces with the answers. This is yet another way InMotion is playing the techy customer service game especially well. Sunil mentioned seeing a lot of success with one particular differentiator in their product offerings: SSD speed boosting. “We’re going to go ahead and bear the cost of putting SSDs on ALL of our products,” Sunil said, recalling the thought process. “We noticed a huge stability boost and performance boost across the board,” he said. The result was a high-availability framework in general, and the market responded with competitors also adding SSDs to their services. InMotion has datacenters on the East and West Coast, so should a severe catastrophe strike on one side of the US, they could spin up containers on the opposite coast for you. Even in the event of “mini catastrophes” (one server going down), InMotion has contingency plans for seamlessly getting you back on track. For example, the California datacenter is actually housed in two different suites of one building. Should your server encounter an issue, your data would be moved to a dedicated server on another side of the house and then it’s just a matter of manually switching the DNS. InMotion customers have access to East and West coast datacenters — featuring the redundancy of container technology. Note that InMotion uses Virtuozzo containers rather than OpenStack technology — this brings up an interesting point. “People talk about downtime for outages, but another thing people, even developers, forget is that there has to be planned downtime as well,” Sunil said. For example, in the event that there’s an upgrade or patch of some kind that needs to be done on a particular server, InMotion will move customers’ containers on to a different node, work through the night, and migrate everything back up by morning. “That way, we can basically have a lot less downtime or impact to our customers’ websites,” he explained. In 2016, we’ll be introduced to InMotion’s new, high-availability cloud product. The first of two iterations of the platform will be coming out early in the year, with “Phase II” hopefully being introduced towards the end of Q2. “We’re really excited about that,” Sunil shared. In other news for the new year, InMotion recently released a new web builder tool to sit atop their current WordPress platform: BoldGrid. “Todd’s been heads-down working on that for some time now,” Sunil said. “It’s passed the alpha and even the beta stage and we’ve got some of our customers using it, and we’re pretty happy with the results thus far.” This new web builder bridges the knowledge gap for users who think they want to use WordPress but then get overwhelmed when they realize the system is actually a bit over their heads. Once again anticipating user needs, the InMotion team will help you with themes, plugins, setup, and more. Since the early 2000s, InMotion has been operating on the leading edge of customer service excellence — innovating by example with their technology and their technological support. “As your web host, we understand that your website is our top priority,” Sunil said. 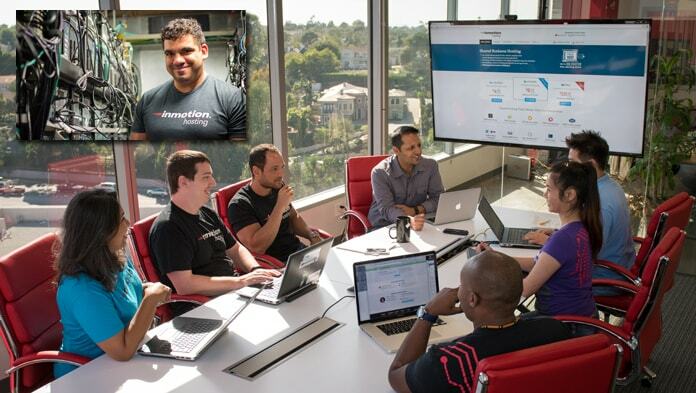 Today, Sunil and Todd can still be found in the California office, along with a marketing team, a development team managing the frontend of the InMotion Hosting website, and some SysAdmins staffing their datacenter. If you were to call for support, chances are you’d be connected with someone out at their Virginia Beach location, which houses their 24/7 Frontline Support, Frontline Sales, Frontline Billing, Tier II and Tier III System Administrators, coders and QA folks, and more. The InMotion team works tirelessly to develop new solutions to empower end-users as well as the tech community. In addition to showing unwavering support for their customers, InMotion serves the tech community in other ways: sponsoring WordCamps and SCALE (Southern California Linux Expo), donating to the Apache Foundation, and just getting in front of fellow devs to show that they support open-sourcing. “We love it,” Sunil said. “We have no Windows products and no desire to use licensed products.” The InMotion Hosting team and its leadership fully recognize and embrace their responsibility to the hosting community, and they ensure every individual’s hosting need is treated as a priority, every time.